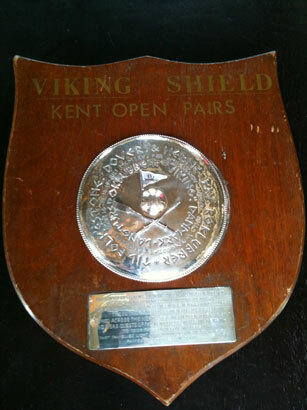 According to the inscription on it, The shield was originally presented by Emil Olskov-Hansen and Niels Ventegodt of the “Viking” Rowing Club, Langturs, Denmark (NB The spelling of some of these names may be suspect). Having looked into this further, I believe the pair were members of Odense Rowing Club in Denmark. It seems that Niels Ventegodt was keen on long distance rowing, he had founded the Viking Long distance Rowing Club in 1916 and had ambitions of rowing all the way to Bombay in India by rotating the crew but that effort ended off the coast of Spain when the boat “Viking” was wrecked. For some early parts of the journey, before crossing the Channel, Niels Ventegodt”s crew consisted of his wife “Edel” and his dog “Buster”. 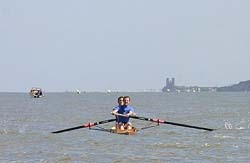 At the Viiking Shield Regatta – as well as the Senior pairs race there is a full programme of coastal rowing events which are not restricted to Kent coastal clubs (non-Kent clubs can also enter the pairs race but if they win, they don”t get the shield!). 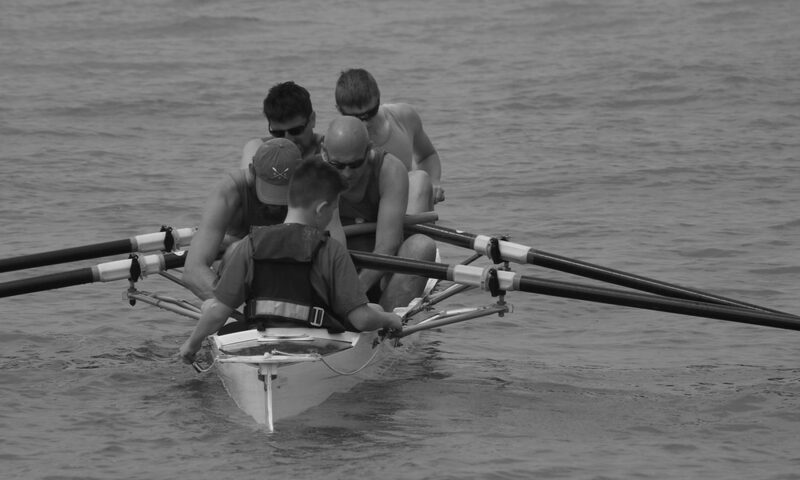 Entries also come from the Sussex CARA clubs, some Kent river rowing clubs and coastal crews from further away.